In the sophisticated technology the world has now, communication is just on the tip of your fingers. In just few clicks, emails, text messages, instant messages, and chats are exchanged between two or more persons, thus creating communication. Even without seeing each other face to face, people can always make a way to communicate. But do you know that without face to face communication, you can be deceived because you cannot determine what feeling is inside that message. Even if you can see a picture smiling, you can still be deceived because a smile can be faked. But when you see the body language and hear the voice of the person you are talking to, you can read his reactions and determine whether what he is talking about jives with his actions. Here are the reasons why face to face communication is still important. No one likes to be cheated or taken advantage of. It’s so easy to say “I love you” via chat wherein you cannot see his facial expression and the way he said those words, but deep inside the meaning of those words are twisted because there is hate and grudges behind those words. Without face to face communication, it is very easy to hide feelings, fake answers and lie but when you talk to a person face to face, you can easily determine if he is honest or not. In some instances when you are giving instructions, face to face communication is important. It is to determine whether the instructed person understands the information well and vice versa. 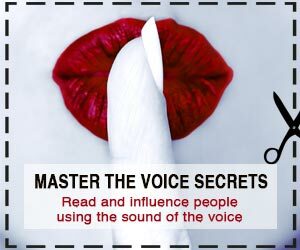 The instructed person gets enough information to the instructor through his speech and body language. Just by pointing to an object without saying a word is a good enough instruction. Through face to face communication, like for example in a business proposal meeting, you can easily weigh the reaction of your audience if they are impressed and convinced on your presentation or not. Just a simple thumbs up or a positive facial expression means you got their approval. Respect, adoration, obedience, trustworthiness and other virtues are not meant to be said. It is meant to be done and it is more meaningful if you show respect through your actions and body language than just merely saying ‘I respect you’. Jokes are sometimes half lie and half truth. If you are thrown out a joke and you are confused if it is for real or not. If you are having a face to face communication, you can read between the lines to weigh if the joke is true or not. Why you should spend your time with the ‘right’ people!